Baijnath is a primitive temple that is based in Uttarakhand at an altitudinal height of 1,126 mts along the bank of Gomti River in the Bageshwar district of the state. 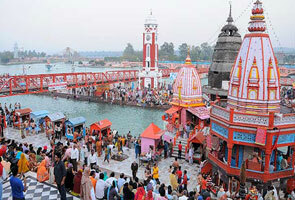 The town is the major pull because of the famous Baijnath temple that is located here. It is one of the significant temples in Uttarakhand and falls in the Kumaon region because of its historical and religious importance. 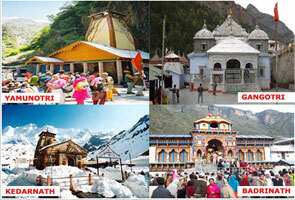 Large number of devotees visits at Baijnath temple during Mahashivratri. The famous shrine is dedicated to Lord Vaidyanatha. The temple has beautiful and impeccable idol of Parvati that is made from black stone. The temple is based along the river side and can be reached via flight of steps that are made from stones as per the orders of the Katyuri queen. On the way returning to the main temple is the house of the Mahanta that is the temple of Bamani. In the temple periphery there is a lake that is full of fishes as in “Golden Mahaseer” but fishing is completely restricted here and is the major tourist place for pilgrims. Many devotees offer atta and chana to fishes in order to feed them. The construction of temples in the Baijnath was done by the Katyuri kings around 1150 AD. Earlier, Baijnath was the capital of the Katyuri Kings who ruled Baijnath from 7th -11th century AD and was then known as Kartikeyapura and lies in the middle of the Katyur valley. As per the old sayings, it is believed that Lord Shiva and Goddess Parvati got married here at the confluence of River Gomti and Garur Ganga. There are several temples in the Baijnath complex that are dedicated to various Gods as in Siva Vaidyanath who is the Lord of Physicians. The temple was constructed by the Katyuri Kings with the idols of Lord Ganesha, Goddess Parvati, God Shiva, Goddess Chandika, God Kuber, God Surya and God Brahma. As per myths, it is also said that the temple was built by a Brahmin woman that she devoted to Lord Shiva. This temple is only 2kms from Baijnath. This is a shrine dedicated to Bhagwati Mata Kot Bhramri Devi Temple. Earlier, this place was a fortification that was possessed by the Katyuri Kings. Also, there is a myth that Adiguru Shankaracharya did rest here at the temple for a night on the way to Badrinath. 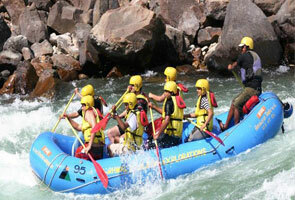 It is the prominent market in the Baijnath region and has plenty of shops and eatery joints. 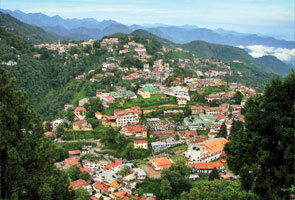 Baijnath does not offer many exclusive hotels and resorts to tourists. Though, it has few hotels that offer low budget accommodation with basic standard facilities. There is one KMVN Guest house that doles out good and budgeted accommodation facilities with good rooms and all sorts of facilities and amenities at much affordable rates. Most of the tourists stay in Kausani before they visit to Baijnath and Bageshwar excursion. Travelers can also avail various hotels and resorts facilities at Kausani to stay comfortably and rest here as the entire route to Baijnath is really long. Ideal time to visit Baijnath is between September to May. The weather during summer is extremely pleasant. Summer period continues between March to May. The maximum temperature here is 25 degree celcius and might dip to 11 degree celcius. On the other hand, winters here start from November and continue to January with temperature ranging between 15 degree celcius to 2 degree celcius. Baijnath is a based in Kumaon region of Uttarakhand and is just 300kms away from Dehradun, 151 kms from Haldwani, 26kms away from Bageshwar, 132kms from Nainital, 70kms from Almora, 76kms from Ranikhet, and 17kms from Kausani. 3. Nearest International Airport is IGI at Delhi which is 436kms.